When Lily Michaels-Ryan ditches her ADHD meds and lands in detention with Abelard, she’s intrigued - he seems thirty seconds behind, while she feels thirty seconds ahead. It doesn't hurt that he’s brilliant and beautiful. When Abelard posts a quote from The Letters of Abelard and Heloise online, their mutual affinity for ancient love letters connects them. The two fall for each other. Hard. But is it enough to bridge their differences in person? This hilarious, heartbreaking story of human connection between two neurodivergent teens creates characters that will stay with you long after you finish reading. 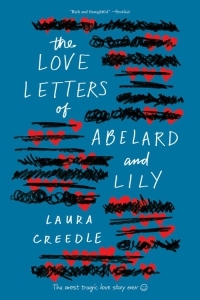 A YA debut called 'rich and thoughtful' by Booklist, The Love Letters of Abelard and Lily follows the budding romance of two unbelievably lovable neurodivergent teens. This funny, heartwarming story about human connection from a truly exciting talent is perfect for fans of Eleanor and Park and Marcelo in the Real World.